2013 AUG- 15 AUG- 20? >> scroll to the right side to get more information how and when updates are made>>>>>! NOTES ON THIS PAGES: age was last modified in SEPTEMBER 2017 links to the volcanic knowledge base /Smithsonian institute IN THE REGISTER PANELS (/ right side) were repaired and updated after the institute had modified its website (the links inn the single register panels will be updated later). 20140623/ note: This project was part of my solar and terrestrial blog related to the peak of the 26. 11 year sun spot cycle in 2013 . Since these activities/ fluctuations are significantly decreasing now, volcano activity in the single collapsible panels on this page will NO MORE be updated The page will be continued as a source for general information .Visit the Smithsonian page to get information on current worldwide volcano activities! About GRIMSVOETN ( by: Geologic summary by: Smithsonian institute- global volcanism program):Grímsvötn, Iceland's most frequently active volcano in historical time, lies largely beneath the vast Vatnajökull icecap. The caldera lake is covered by a 200-m-thick ice shelf, and only the southern rim of the 6 x 8 km caldera is exposed. The geothermal area in the caldera causes frequent jökulhlaups (glacier outburst floods) when melting raises the water level high enough to lift its ice dam. Long NE-SW-trending fissure systems extend from the central volcano. The most prominent of these is the noted Laki (Skaftar) fissure, which extends to the SW and produced the world's largest known historical lava flow during an eruption in 1783. The 15-cu-km basaltic Laki lavas were erupted over a 7-month period from a 27-km-long fissure system. Extensive crop damage and livestock losses caused a severe famine that resulted in the decimation of one-fifth of the population of Iceland. 2014 JAN 18 JAN- 22? 2011 MAY- 21 May- 31? According to scientists from the Institute of Earth Sciences at the University of Iceland and the Icelandic Meteorological Office, an eruption from the subglacial Grímsvötn volcano began on 21 May following about an hour of tremor. A GPS-station on the rim of the Grímsvötn caldera had revealed continuous inflation and expansion of few centimeters per year since the 2004 eruption, interpreted as inflow of magma to a shallow chamber. Other precursors over the previous few months were increased seismicity, including some bursts of tremor, and increased geothermal activity. The eruption began at 1630 on 21 May, and at 2000 the eruption plume rose to an altitude over 20 km (65,000 ft) a.s.l. The plume altitude fell to 15 km (49,200 ft) a.s.l. during the night but occasionally still rose to 20 km (65,000 ft) a.s.l. Ash from the lower part of the eruption plume drifted S and at higher altitudes drifted E. A few hours after the onset of the eruption ashfall began over areas S of the Vatnajökull ice cap, more than 50 km from the eruption site. Earthquake locations and limited observations during an initial overflight suggested that the eruption site was in the SW part of the caldera, where the 2004 eruption was located. According to news articles, the road in Skeidarársandur, S of Vatnajökull and part of the ring road around Iceland, closed and remained closed through 24 May. During the morning of 22 May the plume rose to an altitude of 10-15 km (32,800-49,200 ft) a.s.l. The color of the plume was brown-to-grayish and sometimes black close to the source. Most of the plume drifted S, but lower parts traveled SW. Tephra fall was concentrated to the S and to a lesser extent N and E. In the afternoon lightning strikes ranged from 60-70 per hour (up to 300 during one hour) and were most frequent in the ash plume to the S. News outlets noted that the Keflavík airport closed. Ashfall was reported from the Reykjavík area in the SW to Tröllaskagi Peninsula in the N. An article also stated that, according to a geophysicist, the eruption was the largest for Grímsvötn in 100 years, was similar to the eruption of 1873, and was larger than the Eyjafjallajökull eruption of 2010. During 22-23 May the ash plume rose to altitudes of 5-10 km (16,400-32,800 ft) a.s.l. and drifted S at lower altitudes and W at altitudes 8 km (26,200 ft) a.s.l. and higher. Ashfall was detected in several areas throughout Iceland except in some areas to the NW. 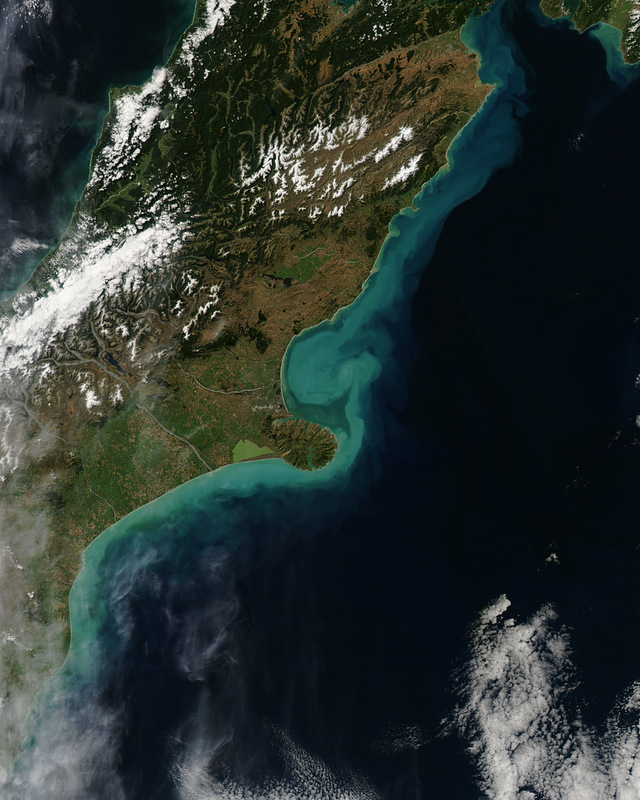 On 24 May the ash plume was estimated to be mostly below 5 km (16,400 ft) a.s.l. because meteorological clouds over the glacier were at 5-7 km (16,400-23,000 ft) a.s.l. and the plume only briefly rose above the cloud deck. Satellite images showed the plume extending over 800 km from the eruption site towards the S and SE. News articles reported that dozens of carriers rerouted or cancelled flights in Norway, Denmark, and Scotland. Due to R.G Temple, (" Sirius mystery) Orchomenos had importance first as a mythological place of a sybil dedicated to Apoll. The name and people of Orchomenos again play a rolein the Herakles sage and the Argonautica. As a town , Orchomenos was involved in the war of Troy. ABOUT SPARTA: Homer names Sparta as the court of the legendary king Menelaos.which indicates that Sparta would probably have the frist or one of the oldest and most important kingdom of The Peloponnesos. Traditionally, Sparta was beieved to be reserved for the Herkalides- the heirs of Herakles. Sparta oftently opposed Hellenic rulers resp tyrants and was a protector of the Olympic games. Spartas wellknown legendary reputation as a place of high cultivated warfare resultet rather from this old tradition than form any influence from outside . Places of importance in Western Asia up to the Christian period In Johannes/ Book of Revelation each of the seven Letters starts - as commanded by a heavently appearance with the phrase: "write to the angels of Ephesos."... What the seven comunities and angels have to do with the seven seals a.s.o is still unclear. In Johannes/ Book of Revelation: (commanded by a heavently appearance) "write to the angels of Ephesos : the community that had forsaken its first love "
In Johannes/ Book of Revelation:" the church that had endured patiently"
-Ancient sun and star observatory, which also may contain some yet unknown more complicated astronomical periods . As its constructed as a perfect circle , it must have at least served as a manifested cosmologically based calendar similar to astronomical monuments in other parts of the world ( such as Mesoamerica) . The installation itself does not require much special knowledge and would be identified through all age and cultures and languages . Some special astronmical- but yet not recognized- data may be hidden within the other parts of the installation.- Archeologists however interpretate Stonehenge as a bronze age monument. By the C 14 method, the oldest megaliths are dated back to 8000. B.C. The entire arrangement out of megalithic stones is exactly laid out to the summer soltice which shines on this day through a shift between two large stones entrance into the middel of the circle. changes on the map are made weekly only if new reported are issued by USGS)! click here to open the extension map with Greenland and the Arctic Sea. for the map Earth quakes and volcanism on the Canary Islands and Azores, open register card below! scroll down to find volcanoes and activity updates for the CANARY ISLANDS below in collapsible panel! Click on the collapsible panels you always find on the right side of my volcano maps to widen / see the lists of all known volcanic features in the area of this regional map . Separated in subregions- you find basic information to each volcano numbered on the map , including basic informations and links to volcano webcames if availabe for this single volcano.Clicking on the volcano names/ labels will lead you to the related informations of the Smithsonian page and archive . About ASKJA ( by: Geologic summary by: Smithsonian institute- global volcanism program):Askja is a large basaltic central volcano that forms the Dyngjufjöll massif. It is truncated by three overlapping calderas, the largest of which is 8 km wide and may have been produced primarily from subglacial ring-fracture eruptions rather than by subsidence. A major rhyolitic explosive eruption from Dyngjufjöll about 10,000 years ago was in part associated with the formation of Askja caldera. Many postglacial eruptions also occurred along the ring-fracture. A major explosive eruption on the SE caldera margin in 1875 was one of Iceland's largest during historical time. It resulted in the formation of a smaller 4.5-km-wide caldera, now filled by Öskjuvatn lake, that truncates the rim of the larger central caldera. The 100-km-long Askja fissure swarm, which includes the Sveinagja graben, is also related to the Askja volcanic system, as are several small shield volcanoes such as Kollatadyngja. Twentieth-century eruptions at Askja have produced lava flows from vents located mostly near Öskjuvatn lake. Askja volcano (central Iceland): caldera lake ice-free, unusually high water temperatures Some news has appeared about a sudden warming of the Askja volcano caldera lake. It seems that a melt of ice in the caldera lake started in the beginning of March and by the end of March, the lake was completely ice free. This is highly unusual and it is not known to have happened before. Such increase in hydrothermal activity is probably caused by a heat source at the bottom of the lake, although so far, there are no other changes visible around Lake Askja. Hydrothermal areas around Askja are active recent reports confirm. Whether the raised temperature of Askja lake is a precursor to a new eruption in the foreseeable future is speculation at this point. update( May- 26: : activity has meanwhile decreased. About HEKLA( by: Geologic summary by: Smithsonian institute- global volcanism program): One of Iceland's most prominent and active volcanoes, Hekla lies near the southern end of the eastern rift zone. Hekla occupies a rift-transform junction, and has produced basaltic andesites, in contrast to the tholeiitic basalts typical of Icelandic rift zone volcanoes. Vatnafjöll, a 40-km-long, 9-km-wide group of basaltic fissures and crater rows immediately SE of Hekla forms a part of the Hekla-Vatnafjöll volcanic system. A 5.5-km-long fissure, Heklugjá, cuts across the 1491-m-high Hekla volcano and is often active along its full length during major eruptions. Repeated eruptions along this rift, which is oblique to most rifting structures in the eastern volcanic zone, are responsible for Hekla's elongated ENE-WSW profile. Frequent large silicic explosive eruptions during historical time have deposited tephra throughout Iceland, providing valuable time markers used to date eruptions from other Icelandic volcanoes. Hekla tephras are generally rich in fluorine and are consequently very hazardous to grazing animals. Extensive lava flows from Hekla's historical eruptions, which date back to 1104 AD, cover much of the volcano's flanks. 2013 MAR- 29 APRIL- 02? The Icelandic Meteorological Office noted that since 10 March, at least seven micro-earthquakes at Hekla, ranging in size from M 0.4 to 1, had been detected within a small area about 4.5 km NE of the summit, at depths of 11-12 km. These earthquakes were high-frequency, suggestive of brittle fracturing rather than magma movement. At Hekla, such a clustering of earthquakes is unusual in between eruptions. Continuous measurements of borehole strain and ground-based GPS showed no changes in crustal deformation. On 26 March the Icelandic Meteorological Office increased the Aviation Colour Code from Green to Yellow, because of the increased seismic activity. Icelandic Civil Defense together with the Police in Hvolsvöllur had also declared a level of uncertainty for Hekla, although there were no observable signs that an eruption of Hekla was imminent. Stromboli again produced small lava overflows from the crater terrace on the afternoon of 27 February through the following night, after an interval of 10 days of normal Strombolian activity. A second episode of lava overflow started on the evening of 1 March and ceased the next afternoon. Both overflows were fed by continuous spattering from vent N2, which lies at the top of a hornito perched on the N rim of the crater terrace. This volcano is permanently active with magma eruptions from time to time. 2013 FEB- 27 MAR- 05? 2013 JAN- 29 FEB- 19? On 15 January Sezione di Catania - Osservatorio Etneo reported that overflowing lava from vents lying just below the rim of the northernmost explosive vent on Stromboli's crater terrace generated small lava flows that traveled down the N and NW sectors of the Sciara del Fuoco. Landslides caused by the sliding and rolling of loose rock material on the steep slope of the Sciara del Fuoco sometimes accompanied the lava flows. At night during 15-16 January, effusive activity ceased, then only very small lava overflows were observed on the evening of 17 January and during the night of 19-20 January. 2013 Jan- 10 JAN- 15? On 10 January Sezione di Catania - Osservatorio Etneo reported that since the morning of 23 December 2012 overflowing lava from vents lying just below the rim of the northernmost explosive vent on Stromboli's crater terrace generated small lava flows that traveled down the N and NW sectors of the Sciara del Fuoco. In addition, the rapid accumulation of spatter during intense explosive activity often generated small flows that were accompanied by numerous landslides. Major lava flows occurred on 23 December (traveling N), during 25-27 December (traveling NW), and on 7 January (traveling NW). During the intervals between the main effusive episodes, lava was extruded at extremely low rates from the vents, resulting numerous incandescent blocks descending the Sciara del Fuoco. Sometimes small lava flows advanced for a few tens of meters before disintegrating into blocks, such as on the morning of 10 January 2013. In all cases, the effusion of lava was preceded, and often accompanied, by intense explosive activity on the crater terrace. A report on 15 January noted that intermittent emissions of small lava flows from the crater terrace continued, sometimes accompanied by landslides caused by the sliding and rolling of loose rock material on the steep slope of the Sciara del Fuoco. 2012 NOV- 21 NOV- 27? Sezione di Catania - Osservatorio Etneo reported that the persistent explosive activity at Stromboli showed a clear increase on 21 November with episodes of spattering and low lava fountaining from two vents located in the N and central portions of the crater terrace. 2011 AUG -01 Aug- 09? Sezione di Catania - Osservatorio Etneo reported that during the late evening of 1 August a vast accumulation of incandescent material appeared at the base of Stromboli's N1 vent, the northernmost active vent within the crater terrace at about 750 m elevation. Within a few minutes, the material collapsed and slid downslope, creating two small lobes of lava. The more easterly flow descended the N slope of the Sciara del Fuoco, generating small landslides from the loose material on the slope, and marking the first lava effusion event outside of the crater since a small emission during 11-12 December 2010. The lava accumulated on a flat area near hornitos that were formed during 2002-2003, before continuing further down a steep slope. On 2 August the lava had descended to 500 m elevation and advanced very slowly. During the afternoon effusion appeared to have diminished. 2011 JULY- 05 JulY 14? Sezione di Catania - Osservatorio Etneo reported that on 5 July a high pyroclastic jet formed in the S part of Stromboli's crater terrace producing tephra that fell back onto the Pizzo sopra la Fossa. Seismic data indicated that other craters on the terrace were also active. A similar but less powerful explosion occurred from the same vent on 10 July. INGV-CT reported that on 17 February a series of strong explosions from the northernmost vent of Stromboli's summit area led to the accumulation of hot scoriaceous material on the external N flank of the crater. Activity continued at elevated levels from two vents in the northern portion of the crater terrace through 23 February. About KATLA ( by: Geologic summary by: Smithsonian institute- global volcanism program):Katla volcano, located near the southern end of Iceland's eastern volcanic zone, is hidden beneath the Myrdalsjökull icecap. The subglacial basaltic-to-rhyolitic volcano is one of Iceland's most active and is a frequent producer of damaging jökulhlaups, or glacier-outburst floods. A large 10 x 14 km subglacial caldera with a long axis in a NW-SE direction is up to 750 m deep. Its high point reaches 1380 m, and three major outlet glaciers have breached its rim. Although most historical eruptions have taken place from fissures inside the caldera, the Eldgjá fissure system, which extends about 60 km to the NE from the current ice margin towards Grímsvötn volcano, has been the source of major Holocene eruptions. An eruption from the Eldgjá fissure system about 934 AD produced a voluminous lava flow of about 18 cu km, one of the world's largest known Holocene lava flows. Katla has been the source of frequent subglacial basaltic explosive eruptions that have been among the largest tephra-producers in Iceland during historical time and has also produced numerous dacitic explosive eruptions during the Holocene. The Iceland Met Office reported increased seismic activity within Katla's caldera. Unrest was first noted in July, when a short-lived glacial flood burst from the Myrdalsjökull glacier that covers Katla occurred in connection with increased seismicity. Since then, several hundred micro-earthquakes had taken place within the area of the caldera. On 5 October an intense earthquake swarm was detected. Most of the earthquakes originated at 5 km depth; the largest one was approximately a M 3.7. 2011 July- 09 July- 16? massive Gletscherläufe zerstören 100 meter lange Gletscherbrücke. notes: The nearby Hekla volcano massive ( Nr 20 on map) has already formed out a bulge on the surface and might erupt soon, resp at any unknown time! Shell is very reluctant in publishing anything about their oil leak at the Gannet alpha platform. Greemnpeace reported the incident was around Aug 08 or 09 but was reported to the regulatory body 4 days later. BBC issued first video footage, which is ( first time that I see that) restricted for all foreign visitors on their webside and accesabke for UK citizens only Shell tries to play the incident down and claim first. a pipe connector from the well to the platform was broken. the well cut be shut down below (by a downhole valve) and everything would be already be fine again after the rest had of oil been pumped out of this connecting pipe. Shell deployed remote operated vehicles to the platform- a submarine which as they say can repair the pipe.and oneships to clean up the oil spill. Lies dont pay out and today the British government already spoke from the greatest oil disaster in the recent decades. some hundredthousand liters have already spilled into the Northern Sea. and there is a second leak- so Shell claimed today but this one would be " in an difficult areal and at least currently NOT accessable. Hmmh what could that be? Has someone laid a pipe into an unaccessable areal on the seaground? Whats the problem? Rocks sharks, or both? So let us riddle that problem.. Where could such an unaccessable leake be?? On the rigs itself ? no! Does the spill--- perharps...comes from the well itself, from subsea like that on last year in the gulf... you know what Imean....? is there no downhole safety valve as Shell claimed first? Was it maybe a blowout ( no wonder as Europe is currently volcanic very active). Last year 3 oil rigs had to be evacuated near Norway after an uncontrollable Blowout. But Norways oil rigs MUST have downhole safety valves, due to existing laws . But Norway is beside Brasil the only country which prescribes that downhole safety valve by law. And that none of the oil tycoons would spent one cent on uncosts if not being forced to ,we known not yet since BP had icreated that mess in the Golf of Mexico last year. click here and Google Earth will find aotomatically the Gannnet alpha oilfield. significant events: Oct- 23- 31 -2011 ( continuing) After a short rest seismic activities again increased after Oct- 23 and shifted to the North east of the island. significant events: October - 08-2011 M 4.3 - CANARY ISLANDS, SPAIN REGION - 2011-10-08 20:34 UTC. the 4.3 quake had the highest magnitude since the activity began in July 2011. The IGN also confirmed surface deformations exceeding 35mm on the 280-sqkm island, where residents have been put on alert for a possible volcanic eruption. The agency confirmed on Friday that 858 earthquakes, most of them located in the sea to the SW of the island, have been recorded in the 7 days since 30 September, 2011. During this period, 60 earthquakes were felt by the island’s estimated 10,000 residents. The strongest of the tremors measured 3.8 magnitude on the Richter Scale. ..read more..
Last update on activity of the El Hierro volcano ( Sep- 29- 2011) see also links inside the register card! A new "Earthquake swarms" began on Sep 27 after 8:00UTC with higher magnitudes than before. Until Sep- 29 more than 100 quakes were measured with an epicenter not far offshore in the bay of el Golfo ( itself the remainent of the former volcano crater) in a depth of 10 km , around the magma chamber of the El Hierro volcano 200 inhabitants were evacuated yet, as the shockwaves might cause landslides on the fragile dried out rocks. One tunnel was closed. The Spanish administration has issued yellow warning- due to the " traffic light" alert system in place in Spain the alert level 2 of 3. Inhabitants are asked to listen to radio and other current informations and keep all necessary things prepared for a possible evacuation at any time. Aas visible the webcam of Las Puntas (above the el golfo valley) steams seems to a emmit from a large hole or cave- Its nor reported that it comes from the volcano system..
About EL HIERRO ( by: Smithsonian institute): The triangular island of Hierro is the SW-most and least studied of the Canary Islands. The massive Hierro shield volcano is truncated by a large NW-facing escarpment formed as a result of gravitational collapse of El Golfo volcano about 130,000 years ago. The steep-sided 1500-m-high scarp towers above a low lava platform bordering 12-km-wide El Golfo Bay, and three other large submarine landslide deposits occur to the SW and SE. Three prominent rifts oriented NW, NE, and south at 120 degree angles form prominent topographic ridges. The subaerial portion of the volcano consists of flat-lying Quaternary basaltic and trachybasaltic lava flows and tuffs capped by numerous young cinder cones and lava flows. Holocene cones and flows are found both on the outer flanks and in the El Golfo depression. Hierro contains the greatest concentration of young vents in the Canary Islands. Uncertainty surrounds the report of an historical eruption in 1793. 2013-12-30 08:03 UTC NO more earthquakes, very calm graphs but again spectacular deformation charts. Deformations are giving a totally changed pattern this morning. The Southern areas are subsiding. The eastern central area is stabilizing BUT the western central and northern areas are inflating (western area very strong). HI10 (El Julan) has no data for the second day in a row. The changing deformation pattern shows the biggest magma movement below the island concentrating in the El Golfo area (Sabinosa to Frontera) and is an additional sign that the crisis isn’t over yet. The strongest deformation today is noted in Sabinosa (GPS station HI03) where the ground was lifted 3 cm in less than 24 hours. The station HI04 (slightly west of HI03 (see map) has however stabilized data. This crisis will only end when the deformations are stabilizing everywhere. On 18 March seismic activity at El Hierro sharply increased. Earthquakes were initially located around the NW tip of the island, at about 20 km depth, then later migrated W about 12-15 km offshore W of El Hierro Island, at similar depth. About 100 earthquakes of Mb 3.5 (body wave measurement) or greater had been located, many of them felt by residents. The biggest events occurred on 29 March (Mb 4.7) and 31 March (Mw 4.6, moment magnitude) both at 20 km depth. IGN's GPS data showed inflation of the island, with maximum deformation at the westernmost station of about 10 cm in the horizontal component and about 11 cm in the vertical. Deformation rates reached a maximum during 23-24 March. An increase in carbon dioxide flux was observed in the W area. Rockfalls were reported on the steep slopes, especially during 26-29 March. On the evening of 27 March the Plan de Protección Civil por Riesgo Volcánico (PEVOLCA) raised the Volcanic Alert Code for the population to Yellow, and closed the access to the W part of the island. 2013 MAR- 18 APRIL- 02? 2012 JUNE- 24 JULY- 17? On the night of 24 June, a M 3.1 earthquake occurred offshore N of El Hierro island at a depth of 20 km. After that event, both the seismic activity and the deformation greatly increased. The seismicity, initially located N of the island in the El Golfo area, migrated S, then later to the W, along the E-W rift zone. On 27 June, the Plan de Protección Civil por Riesgo Volcánico (PEVOLCA) raised the Alert Level to Yellow (on a three-color, traffic-light scale) for areas near El Julan (along the SW coast) and La Dehesa; The Alert Level remained at Green for the rest of the island. On 28 June, seismicity migrated to the SW in Las Calmas Sea and remained SW of the island, mainly offshore, until 3 July. The depth of the events was concentrated around 20 km. Since 24 June, more than 1,500 events have been located, and more than 250 of those events were M 2.7 and higher and often felt by residents. The biggest event was a M 4.4 that occurred on 2 July at 2242, located offshore SW the island, at 19 km depth. High deformation rates were measured by every GPS station on the island, reaching 8 cm in the horizontal component and about 10 cm of vertical displacement. Instituto Geográfico Nacional (IGN) reported that during 23-29 November the submarine eruption continued S of El Hierro Island. During this period, the mean amplitude of the tremor showed a slight increase. On 26 November large steaming fragments of lava appeared intermittently floating over the emission center. On 27 November, the emissions were more intense and a few hundred fragments could be observed floating simultaneously, with mean dimensions between 0.5 and 2 m. Some samples of the fragments were collected from a ship near the emission area. During the period, 121 seismic events were located, most of them offshore to the N of the island at depths of 15-23 km and a maximum magnitude of 3.3. Seven of these events were felt by residents at a maximum intensity value of III using EMS-98 (European Macroseismic Scale). GPS data analyses trended towards stability in the horizontal components, while in the vertical component most of the stations showed subsidence while stations in the NE of the island also trended towards stability. The Spanish Geographic Institute (IGN) reported that since 16 July, seismicity at Hierro was high above the background levels. Until 7 September more than 6,200 events had been located, most of them in the El Golfo area with hypocenters that were 10 km deep, all magnitudes were below 3. The seismic activity alternated between relatively calm periods and high-energy periods. GPS local network stations showed deformations of about 2 cm. High rates of carbon dioxide flux were measured in the anomalous area. AARE THE CANARIES a supervolcano? About ETNA ( by: Smithsonian institute) Mount Etna, towering above Catania, Sicily's second largest city, has one of the world's longest documented records of historical volcanism, dating back to 1500 BC. Historical lava flows cover much of the surface of this massive basaltic stratovolcano, the highest and most voluminous in Italy. Two styles of eruptive activity typically occur at Etna. Persistent explosive eruptions, sometimes with minor lava emissions, take place from one or more of the three prominent summit craters, the Central Crater, NE Crater, and SE Crater. Flank eruptions, typically with higher effusion rates, occur less frequently and originate from fissures that open progressively downward from near the summit. A period of more intense intermittent explosive eruptions from Etna's summit craters began in 1995. The active volcano is monitored by the Instituto Nazionale di Geofisica e Volcanologia (INGV) in Catania. INGV reported that weak Strombolian activity at Etna's New Southeast Crater (NSEC) continued through 9 May. Some explosions ejected incandescent pyroclastic material a few tens of meters above the crater rim that rarely fell onto the outer flanks. INGV reported that during the morning of 22 April sporadic and weak Strombolian activity resumed at Etna's New Southeast Crater (NSEC) and continued for the next few days. Some explosions ejected incandescent pyroclastic material out of the crater and onto the upper S and SE flanks of the cone. A few small collapses occurred on the cone's unstable E flank. The frequency and intensity of Strombolian explosions slightly increased late in the evening on 30 April. Degassing at the Northeast Crater also increased and thermal anomalies were detected by a camera. Weak Strombolian activity continued to be detected through 1 May. During the night of 2-3 May incandescence was caused by weak high-temperature gas emissions and/or Strombolian explosions. The activity intensified on 4 May and some of the explosions ejected incandescent pyroclastic material onto the high S and SE parts of the NSEC cone. 2014 JAN 04 APR 08? INGV reported that during 4-13 January nearly continuous emissions of reddish ash from Etna's Northeast Crater were visible. Strong degassing continued at least through 22 January. Strombolian activity at New Southeast Crater (NSEC) began on the evening of 21 January, following 20 days of quiet. Some explosions generated very small ash emissions that barely rose above the crater rim. Late on 22 January a small lava flow from the vent on the high E flank of the NSEC cone traveled a few hundred meters in a few hours. Strombolian explosions ejected incandescent pyroclastic material onto the cone flanks. The frequency and intensity of the explosions decreased early on 23 January, and the lava flow stopped advancing. At 0105 a small puff of gas and/or ash from the E base of the cone heralded a new lava flow that traveled W towards the Valle del Bove. Weak Strombolian activity and the advancing lava flow continued during 24-28 January, although on 25 January the amount of ash produced by the Strombolian activity increased. On 26 January an ash plume drifted E. By evening the intensity of the Strombolian activity as well as the amount of ash in the emissions decreased. The lava flow was 4 km long. 2013 DEC 28 JAN 15? INGV reported on the 20th paroxysm in 2013 from Etna’s New Southeast Crater (NSEC) began with a strong explosion at 0925 on 14 December from a vent near the NE rim which generated an ash plume that rose 2 km. Intermittent ash emission gradually turned into Strombolian activity. After 1413 the activity intensified; small ash puffs were produced and Strombolian explosions ejected incandescent pyroclastics onto the flanks of the cone. Over the next few hours activity continued to intensify and a diffuse ash plume drifted ESE. At 2323 lava overflowed the SE crater rim and flowed towards the Valle del Bove. During the night explosive activity continued to intensify, and by 0330 on 15 December Strombolian activity was intense and virtually continuous. After 0500 explosive activity started to diminish, and at 0550 the volcanic tremor amplitude and the intensity and frequency of Strombolian explosions showed a sharp drop. Explosive activity continued to produce copious amounts of ash until about 0830. According to a news article, the ash emissions caused the cancellation of more than 20 flights in and out of the Catania airport. At 0610 and 0633 two vents opened within the deep trench cutting the SE flank of the NSEC cone (where lava was still flowing from the crater since the previous evening), the first just a few tens of meters below the crater rim, the second about 100 m further downslope. Both vents initially produced lava fountains for a few minutes, with jets a few tens of meters high, and then produced lava flows that descended through the trench. Between 0945 on 15 December and the morning of 16 December ash emission varied in frequency and intensity, related to variations in the intensity of the Strombolian activity at NSEC. During the afternoon and evening of 15 December explosive activity lasted a few to a few tens of minutes and Strombolian activity became significantly more intense or passed into pulsating, low lava fountains. The more intense periods produced greater amounts of ash leading to ashfall in populated areas on the E and SE flank, from the Milo-Zafferana area toward the Ionian coast. At night during 15-16 December lava flows continued to flow towards the Valle del Bove. A shift in wind direction caused ashfall in areas SE, S, and SW. On 15 December small and periodic ash emissions also occurred from Northeast Crater. Small thermal anomalies detected with a thermal camera were detected during 15-16 December. Strombolian activity at the NSEC continued through 16 December at a slowly decreasing rate and with numerous minor intensifications that generated diluted ash plumes. Lava effusion also gradually diminished, but at about 1430 on 16 December, a short fissure opened on the lower NE flank of the NSEC cone, producing a small lava flow which advanced a few hundred meters. Explosive activity finally ceased around midnight on 17 December. Very slow lava effusion continued, at a gradually decreasing rate, from the fissure on the NE flank of the NSEC cone, through the night of 17-18 December. Sezione di Catania - Osservatorio Etneo reported that on 26 October Etna's New Southeast Crater (NSEC) produced a new episode of lava fountaining, six months after the previous paroxysm. A gas plume laden with pyroclastic material rose several kilometers above the summit and drifted SW, affecting population centers as far as the Caltanissetta area. According to a news article a representative from Catania airport noted that the eruption caused the closure of nearby airspace before dawn through the early morning. Lava emitted from the saddle between the two cones of the Southeast Crater advanced S, destroying two wooden shacks at Torre del Filosofo. Another smaller lava flow descended the SE flank of the NSEC cone, partially filling the deep collapse scar formed during the 27 April 2013 paroxysm. At 1019 vigorous ash emissions from the Northeast Crater formed a dark brown plume that rose 1 km; ash emissions from that crater continued through late evening. Lava fountaining from NSEC continued through the late morning and was then followed by a long series of powerful explosions audible to many tens of kilometers away. Strombolian explosions occurred in the late evening. Lava flows continued to advance the next day. 2013 SEP- 03 SEP- 10? Sezione di Catania - Osservatorio Etneo reported that a series of small and sporadic ash emissions from Etna's New Southeast Crater (NSEC) began during the morning of 3 September, marking the end of four months of complete quiescence. Weak Strombolian activity from NSEC was observed during the early morning of 6 September. At daybreak small ash puffs were emitted once or twice per hour. The same morning intense incandescence emanated from Bocca Nuova. The report stated that since early May only degassing from the summit craters was noted, along with usual bangs and rumblings from deep within the conduit of the Northeast Crater (NEC), which during the past few weeks had become more continuous and louder. Sezione di Catania - Osservatorio Etneo reported that on 3 April, after almost 18 days of relative quiet, the New Southeast Crater (NSEC) of Etna produced its ninth episode of lava fountaining. Activity had increased on 2 April when small grayish-brown puffs rose from NSEC. Cloud cover prevented further visual observations through the following night; however, sporadic glow suggested Strombolian activity. On the morning of 3 April, the volcanic tremor amplitude slowly increased and was accompanied by numerous explosion signals. Field observations revealed that at 1330 vigorous Strombolian activity was occurring at one or two NSEC vents, with jets of pyroclastic material rising up to a few tens of meters above the crater rim. The activity progressively intensified between 1400 and 1430, with frequent, powerful Strombolian explosions often generating loud bangs and launching great quantities of incandescent bombs (with diameters of many meters) onto the flanks of the cone. Shortly after 1435, ash emission started from the saddle vent (SV), followed a few minutes later by Strombolian explosions from the same vent. At 1450, a continuous jet of incandescent lava fountained up to 100 m, whereas the vents within NSEC continued to produce powerful loud explosions. At around 1505 a lava flow moved through the deep breach in the SE rim of NSEC and then traveled over the W rim of the Valle del Bove. During the same time interval, lava emissions started from SV, feeding a flow that went S. Since 1430 the eruptive plume drifted SE and contained modest amounts of volcanic ash. At around 1540 ash emissions progressively increased and the volcanic tremor amplitude showed a rapid rise. Between 1540 and 1615 low lava fountaining continued from SV, whereas the vents within NSEC emitted intermittent, pulsating lava fountains. The incandescent jets from the vents within NSEC rose up to 400 m above the crater rim. At 1615, lava fountaining at SV intensified, with jets rising 400-500 m high. Explosions from the vents within NSEC continued, producing loud detonations every 1-2 seconds. Lava fountaining significantly decreased between 1625 and 1628 when a new eruptive vent (NV) opened a few tens of meters to the W of SV, on the E slope of the old SEC cone, and emitted grayish-brown ash. A dense cloud of pyroclastic material emitted by NSEC vents and SV rose about 2 km high and drifted SE. Fallout of pyroclastic material affected almost the same area that had already been subjected to the heavy shower of lapilli on 16 March: Zafferana Etnea and Santa Venerina on the SE flank, and the N part of Acireale plus a number of smaller villages to the N at the S margin of Giarre, in the Ionian area. The deposit was thinner than that of 16 March, and the dimensions of the lapilli were notably smaller. Sezione di Catania - Osservatorio Etneo reported that two episodes of Strombolian activity from Etna's Bocca Nuova Crater occurred during the evenings of 16 and 18 January. Both began with a sudden increase in volcanic tremor amplitude. Poor weather conditions prevented direct observations; the only visible evidence was a bright glow illuminating the clouds covering the summit. On 18 January some clasts were ejected onto the S outer slope of the central summit cone. On the early morning of 20 January volcanic tremor amplitude again rose, and was much more pronounced at the EBEL station about 700 m from the New Southeast Crater (NSEC) than at the ECPN station much closer to Bocca Nuova. Contemporaneously, there were reports of glow illuminating the clouds over the summit of Etna. Seismic and infrasonic data analyses suggested that the activity occurred at NSEC and consisted of mild Strombolian explosions, which ceased a few hours later. The next episode began at 22 January. Tremor rapidly rose at 1840 again producing a stronger signal at the EBEL station. Glow from Strombolian activity was first recorded by a camera at 1856; the activity then became more clearly visible and the Strombolian explosions became more frequent. Incandescent bombs were ejected as high as 100 m above the crater rim. The strongest explosions were followed by abundant fallout of coarse-grained tephra onto the flanks of the NSEC cone. Eruptive activity continued for nearly 12 hours with minor fluctuations. Noises produced by the explosions were audible to residents on the E flank. At about 0600 on 23 January the tremor amplitude decreased and the last explosion visible on camera footage was recorded at 0635. During the hour following, a few small, sporadic puffs of vapor mixed with volcanic ash rose from the crater and drifted E. The two episodes of Strombolian activity at the New Southeast Crater during 20 and 22-23 January represented the first emission of new magmatic products after a quiet interval of nearly nine months. During the past few months, signs of a possible reactivation of the crater were observed, starting with a dull glow coming from within the crater on 22 November 2012 and a series of small vapor and ash emissions during 25-27 December 2012. A short-lived episode of intense glow occurred on the evening of 3 January 2013. Sezione di Catania - Osservatorio Etneo reported that during 22 November-early December 2012 weak glow emanated from Etna's New Southeast Crater (NSEC) caused by the emission of high-temperature gas. The glow was most intense during 1-2 December, then rapidly diminished and reappeared on 24 December. During 25-27 December sporadic and weak ash emissions from NSEC were accompanied by increased gas emissions. On the evening of 3 January a strong glow was briefly observed. Vigorous Strombolian activity at Bocca Nuova Crater began at night during 9-10 January, three months after the last episode. At 0000 on 10 January a rapid rise in tremor amplitude was detected. Ten minutes later a video camera recorded the first incandescent burst in the E part of the crater, which progressively became stronger and more frequent. At 0350 jets of incandescent fragments rose significantly higher than the crater rim. In daylight the phenomenon was no longer visible via the surveillance cameras; the volcanic tremor amplitude remained elevated but started to decrease around 1200. In the early morning of 15 January volcanic tremor amplitude rapidly decreased, marking the cessation of Strombolian activity in the Bocca Nuova Crater. Sezione di Catania - Osservatorio Etneo reported that on the evening of 21 November, weak glow was observed coming from within Etna's New Southeast Crater, caused either by the emission of high-temperature gas and/or Strombolian activity. Incandescence was also visible during the following nights, but was weak and intermittent. A seismic swarm, consisting of around seventy events, occurred below the NW flank on 22 November, with epicenters located in the area of Monte Maletto. During a field visit to the summit area on the morning of 23 November, scientists did not hear sounds typically associated with Strombolian activity. In addition, volcanic-tremor amplitude did not show any significant variations. 2012 OCT- 02 Oct- 17? Sezione di Catania - Osservatorio Etneo reported that on the evening of 2 October weak Strombolian activity resumed within Etna's Bocca Nuova crater, from the same vent on the SE part of the crater floor that was active in July and August 2012. On 3 October the activity was accompanied by a small inter-crater lava flow on the S part of the floor. Over the next few days the activity slowly intensified and a small new cone developed over the old cone formed during July-August, which had subsequently nearly completely collapsed. Volcanic tremor amplitude rapidly increased on the evening of 6 October at the same time eruptive activity intensified. Lava flowed towards the W part of the crater floor and lava fountains pulsated. The intensity of both the eruptive activity and the volcanic tremor amplitude peaked just after midnight on 7 October, and strong glow from the crater was observed from nearby populated areas. Some of the lava jets rose well above the crater rim. Activity decreased at 0430, and the next day dropped to the lowest levels recorded for many weeks. 2012 AUG- 21 AUG- 21? Sezione di Catania - Osservatorio Etneo reported that a new phase of activity at Etna's Bocca Nuova summit crater started on 2 July, was virtually continuous for three weeks until 24 July, then rapidly decreased. During the first 10 days explosions were separated by quiet intervals lasting several minutes, then later became more continuous. During periods of the strongest activity, some lava bombs were ejected beyond the crater rim, landing on a gently sloping area E of the crater. Lava was emitted during 4-24 July from vents on the flanks of the pyroclastic cone that had begun to grow around the explosive vent. Rarely, lava was emitted from the main explosive vent. The lava progressively covered the crater floor next to the pyroclastic cone, which had grown 30-40 m, before the activity ceased on 24 July. Frequent ash emissions observed the next day were mostly due to explosions, and possibly from minor collapses of the summit area of the new cone. Concurrent with the decrease in eruptive activity, volcanic tremor amplitude dropped to background levels. Episodic activity occurred during 26 July-11 August. At daybreak on 26 July, strong incandescence marked the onset of the first episode of activity within Bocca Nuova, which had the same characteristics as the previous activity; frequent Strombolian explosions were accompanied by lava flow emissions from a vent located on the W flank of the cone. The next day, the lava had almost completely filled the central subsidence pit on the floor of Bocca Nuova, and the cone had grown in height. The activity then decreased, and essentially ceased by the evening. There were intermittent ash emissions on 28 July, and volcanic tremor amplitude decreased to background levels. The second episode, during 29 July-1 August, was characterized by small Strombolian explosions and lava emission from a vent located on the S flank of the pyroclastic cone. Volcanic tremor amplitude showed strong oscillations, but never reached the same peak levels associated with the 26-27 July episode. Volcanic tremor amplitude dropped sharply on 1 August, marking the cessation of the activity; a few ash emissions were observed the next day. The third episode began on 3 August with a rapid increase in the volcanic tremor amplitude and strong incandescence from Bocca Nuova, signaling the beginning of Strombolian activity and lava emissions onto the crater floor. Activity ceased the next day, and was followed by weak residual activity within Bocca Nuova, which generated small ash clouds. The fourth episode began on 6 August and ended the next day, and showed essentially the same characteristics as the previous episode. The fifth episode began on 10 August and was again marked by a rapid increase in volcanic tremor amplitude; at nighl, bright glow illuminated the gas plume rising from the crater, which was visible up to tens of kilometers away. Some of the explosions ejected incandescent pyroclastic material well above the crater rim. The activity started to decrease just after midnight and then ended on 11 August. Subsequently, ash emissions resumed, which were particularly frequent on 13 August, and which produced small, brownish-gray clouds of fine-grained tephra. Some of the ash emissions later that evening were accompanied by ejected incandescent material; volcanic tremor amplitude, however, remained at background levels. 2012 JULY 02/04 JULY 17? Sezione di Catania - Osservatorio Etneo reported that the twenty-fifth paroxysmal eruptive episode since January 2011 took place at New SE Crater (New SEC) of Etna during the morning of 24 April following about 11 days of quiescence. During 21-22 April a series of small ash emissions observed by web cameras drifted downslope to the E. On 22 April prolonged emissions of white vapor rose from an area in the upper portion of the fissure that cuts the SE flank of the cone. At night several incandescent spots were visible on the NE and S crater rims, where hot gas heated the surrounding rocks. On 23 April a small thermal anomaly in the area of New SE Crater was produced by a tiny lava flow, which issued from the same vent that had produced the prolonged vapor emissions on the previous day. The lava flow slowly advanced a few hundred meters toward the Valle del Bove, but stagnated on the W rim. Another lava flow was produced later that day. At around 1800 the effusive vent started to vigorously spatter. A second vent became active a few tens of meters further upslope, which initially ejected spatter, but activity rapidly evolved into frequent Strombolian explosions accompanied by a slow rise in the volcanic tremor amplitude. During the following hours, sporadic explosions were also observed from a vent located within the New SEC; the activity remained more or less consistent, while the volcanic tremor amplitude fluctuated at only slightly elevated levels. At 0210 0n 24 April the Strombolian activity showed a marked increase and turned into sustained lava fountaining at 0230. A plume with a heavy load of ash and lapilli rose a few kilometers, drifted NE, and produced ashfall 15-17 km NE in Linguaglossa, Piedimonte, and Presa. The upper part of the plume drifted E and produced pea-sized lapilli fall in the area between Fornazzo (10 km E) and Giarre (17 km E). The phase of most intense lava fountaining lasted approximately 25 minutes, from 0240 until 0305 on 24 April, after which the intensity rapidly decreased and returned to Strombolian activity, before ceasing completely around 0340. 2012 APR- 01 APRIL 04? Sezione di Catania - Osservatorio Etneo reported that the twenty-second paroxysmal eruptive episode since January 2011 took place at New SE Crater (New SEC) of Etna during the morning of 18 March following two weeks of quiescence. Roaring from high-pressure degassing was heard on 16 March. The next day there was incandescence and multiple vapor clouds with minor ash content that rose from New SE Crater. In the early hours of 18 March the incandescence intensified due to Strombolian activity on the crater floor, and volcanic tremor amplitude rapidly increased. Strombolian activity continued to intensify, and just before 0700 lava flowed through the deep breach in the SE crater rim. At about 0825 the ash content in the gas plume rising from the crater became more significant and pulsating lava fountains from a vent on the crater floor rose about 100 m high. Shortly before 0900 two vents were active within the crater and a jet of lava was emitted from another vent within the breach in the SE crater rim. During 0900-0915 lava fountaining was essentially continuous from all three vents. An intense shower of coarse-grained pyroclastic material falling onto the N and NE flanks of the cone generated avalanches and clouds of rock and dust, which traveled to the base of the cone. A plume rose 4-5 km above Etna and drifted E. Ash and lapilli fell mainly in the area between the villages of Zafferana Etnea and Sant'Alfio, extending toward the Ionian Sea between Riposto and Pozzillo. The main lava flow descended the steep W slope of the Valle del Bove. Several lava lobes, however, took a more northerly path to areas covered with thick snow. The interaction of the lava and snow led to rapid melting of the snow, generating small lahars, and strong explosions that produced ground-hugging vapor-and-ash clouds resembling pyroclastic flows, which repeatedly descended on the floor of the Valle del Bove. The vapor-and-ash clouds rose 1-1.5 km above the floor of the Valle del Bove. This phenomenon continued intermittently for some time after the cessation of the lava fountaining and ash emission, until about 1130. Lava fountaining and strong ash emission continued without significant variations until about 1040; afterwards the activity rapidly diminished in intensity, and the last ash clouds were observed around 1110. Similar to the previous episodes, the lava that flowed through the breach in the SE crater rim advanced for several hours after the cessation of the paroxysmal activity into the upper part of the Valle del Bove. The lava reached a distance of about 4 km from the source, stagnating S of Monte Centenari. A small lava flow, emitted from a fracture on the N flank of the cone, followed the same path as a flow emitted from the same fracture during the 4 March paroxysm, and traveled a few hundred meters. 2012 MAR- 04 MAR- 07? Sezione di Catania - Osservatorio Etneo reported that the third episode of lava fountaining from Etna's New Southeast Crater (New SEC) occurred on the morning of 4 March and was more explosive than the preceding episode. The beginning of the eruption was characterized by a rapid increase in volcanic tremor amplitude coincident with Strombolian explosions that increased in intensity and frequency. Just after 0800 lava overflowed the deep breach in the SE rim of the crater and reached the SE base of the cone within 15 minutes, then advanced towards the W rim of the Valle del Bove. Explosive activity changed to continuous lava fountaining and an eruption plume developed at about 0830. Large pyroclasts fell on the steep flanks of the cone, causing avalanches. At about 0850 small pyroclastic flows generated by the partial collapse of the eruption column mainly descended the NE flank, and somewhat down the S flank. A lava flow was emitted from a new eruptive vent on the upper SW flank of the New SEC cone and descended into the saddle between the old and new SEC cones. The lava interacted with snow, causing powerful explosions and small pyroclastic flows. These phreatic explosions generated jets of vapor and launched rock fragments to distances of several tens of meters. A lahar developed which traveled toward the "Belvedere" monitoring station, on the W rim of the Valle del Bove, and passed a few tens of meters to the N of the monitoring instruments. A lava flow also issued from an eruptive fissure on the upper N flank of the cone and descended a few hundred meters to the NE, surrounding the N base of the cone. After descending the steep W slope of the Valle del Bove, the flow split into several branches on the more gently sloping terrain. These branches exceeded in length those of 9 February, reaching a total distance of about 3.5 km from the crater. Shortly after 1000, the activity started to diminish; lava fountaining ceased at 1032, two hours after the onset of the paroxysmal phase. The lava flow emitted from the fissure on the SW flank of the cone continued advancing for a few hours after the cessation of the activity. The eruption column rose several kilometers above the summit of Etna. Ash and lapilli were carried NE by the wind, affecting the areas around Piedimonte, Etneo, and Taormina. Fine ash fell as far as the Messina area and southern Calabria. Again, the pyroclastic cone of the New SEC had grown in height, mainly on its N rim. Sezione di Catania - Osservatorio Etneo reported that on 8 February the New SE Crater (New SEC) of Etna entered another paroxysmal eruption episode after about 12 days of Strombolian activity. During the afternoon of 8 February, the Strombolian activity increased in both frequency and intensity of explosions from the vent on the W portion of the crater floor, and occasionally from a vent to the E. After about 1900, lava began to spill into the deep breach on the SE crater rim and then descended to the base of the cone. The lava flow expanded around 2100 and the Strombolian activity slowly increased, turning into a discontinuous lava fountain around 2330. On 9 February the pulsating lava fountain rose 100-500 m above the crater before a continuous jet rising 300-400 m above the crater. A cloud with a small amount of tephra rose 6 km above the summit and then drifted W, producing some pyroclastic fallout that was on the upper portion of the volcano. Around 0200 and 0400, lava fountains from the two vents within the crater rose as high as 500 m above the crater. The fountain from the E vent caused abundant fallout on the crater rim and E flank. A third vent, located in the breach cutting the SE crater rim, produced sporadic violent explosions that ejected bombs many meters in diameter all over the E portion of the cone. The lava flow reached the W rim around 0130, descended the flank, and branched into three different flows that reached a distance of 3 km from the New SEC. Lava fountaining started to diminish around 0530, and then around 0545 sporadic jets rose as high as 300 m above the crater. At the same time, the vent in the SE crater breach produced strong explosions that again ejected bombs many meters in diameter. These explosions generated loud bangs that were heard all over Etna and small ash emissions that were reported on the W portion of Bocca Nuova. Around 0900 activity started to diminish and ceased abruptly at 1000. 2012 JAN- 27 FEB- 14? Sezione di Catania - Osservatorio Etneo reported that an explosion at the New Southeast Crater (New SEC) of Etna generated an ash plume at that rose 400 m above the crater at 1906 on 27 January. An explosive ash emission at 1124 from the vent on the W portion of the crater floor was followed by others that were less intense. At 2140 an explosion ejected incandescent material in a narrow vertical jet that rose a few tens of meters above the crater. A small Strombolian explosion occurred at 2231. On 28 January sporadic ash emissions continued from New SEC. Sezione di Catania - Osservatorio Etneo reported that on the night of 4 January the New SE Crater (New SEC) of Etna entered another paroxysmal eruption episode after about 50 days of quiescence. Several hours of Strombolian activity were observed on the SE and NE slopes starting at 2230 on 4 January. This activity continued into the early morning of 5 January when (around 0200) a small lava flow spread out into several branches at the SE base of the cone. Strombolian activity increased around 0400, generating lava fountains, from several vents within the crater that rose 100-150 m above the crater. Significant ashfall and pyroclastic material fell onto the flanks at 0450 on 5 January. Around 0515 lava fountains generated a continuous eruption of ash-and-gas plumes that rose to an altitude of 2.1-2.4 km (7,000-8,000 ft) a.s.l. Small pyroclastic flows went a few hundred meters and lahars traveled down the NE, E, and S flanks of the cone. Around 0600 active vents along the N edge of the New SEC produced intermittent lava fountains. The most intense phase of the eruption occurred around 0620 when a strong explosion opened a vent on the top side of the SE cone, removed a portion of the SE crater rim, and generated ash plumes. The N slope of New SEC showed gravitational movement due to the amount of deposited pyroclastic material. Around 0630 activity started to diminish and ceased abruptly at 0730, but was followed by passive ash emissions that lasted until 0830. SORRY! unfortunately, all activity reports of 2011 were unintentendly deleted resp disappeared during the lastsite modification.! 2010 DEC- 19 JAN- 20? After a few hours of quiescence on the evening of 3 January, very weak emissions of incandescent material (probably mostly hot gas with little or no solid material) resumed from the pit crater located on the lower E flank of Etna's Southeast Crater cone. Later that evening intense incandescence from the pit crater was reported by observers in the village of S. Alfio on the E flank of Etna. The emissions continued on 4 January at a rate of 4-6 events per hour, producing small plumes that appeared as thermal anomalies in thermal video footage. Activity ceased in the afternoon. Very weak emissions of incandescent material (probably again mostly hot gas) were observed on 5 January at the same rate as the previous day. A camera recorded white vapor plumes occasionally accompanied by some grayish-brown ash. Weak, intermittent incandescence from the pit crater was observed at night during 5-6 January. Emissions on 6 January occurred at a frequency of 3-4 events per hour, producing small plumes seen in thermal camera footage. That same day, intense degassing occurred from the W vent of Bocca Nuova (BN-1), and from the Northeast Crater, where pulsating emissions produced mushroom-shaped vapor plumes. About SANTORIN ( by: Smithsonian institute)Renowned Santorini (Thera), with its steep-walled caldera rim draped by whitewashed villages overlooking an active volcanic island in the center of a caldera bay, is one of the scenic highlights of the Aegean. The circular island group is composed of overlapping shield volcanoes cut by at least four partially overlapping calderas. The oldest southern caldera was formed about 180,000 years before present (BP), followed by the Skaros caldera about 70,000 years BP, and then the Cape Riva caldera about 21,000 years BP. 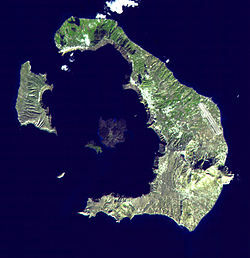 The youngest caldera formed about 3600 years BP during the Late-Bronze-Age Minoan eruption that forced abandonment of the thriving Aegean Sea island. Post-Minoan eruptions beginning in 197 BC constructed a series of lava domes and flows that form two islands near the center of the caldera. A submarine eruption took place in 1650 AD outside the caldera NE of Thera. The latest eruption at Santorini produced a small lava dome and flow in 1950, accompanied by explosive activity. no activity report by USGS yet. Disaster Archeology/ Historical explosion/ 1650 BC.